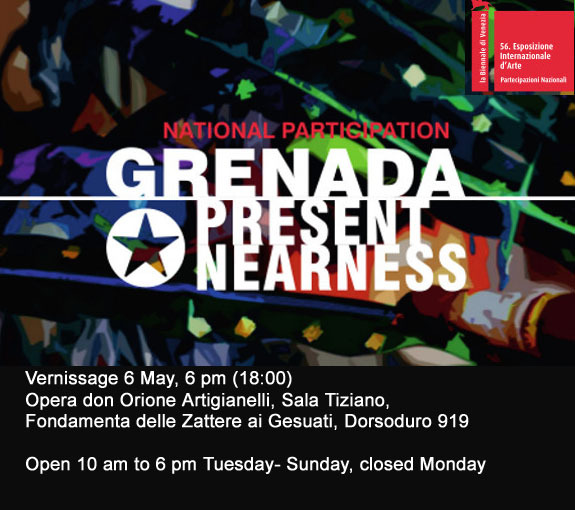 In the next few days, all the months of planning and preparation for Grenada’s first time participation in la Biennale di Venezia will come together as we open the doors on 6 May to the Sala Tiziano, Opera don Orione Artigianelli, Dorsoduro, on the Fondamenta delle Zattere ai Gesuati, in Venice, Italy. Artists, organizers, well wishers will gather with a congratulatory glass of bubbly, and a bite of chocolate from Grenada to inaugurate the exhibition. For the next seven months, art lovers from all over the world will pass through Venice to see the chosen art of the some 90 countries with their offerings of visual culture. It is surely a significant privilege for the work of Grenada’s artists to be seen in this most prestigious of world art events. But aside from the honour, what does it mean for Grenada? It means that Grenada takes its place as a nation that recognizes that there is economic, social, and spiritual benefit in the creativity of its people. It recognizes the value of the individual, that the creative thought that begins in the mind of one person can be realized in a physical way to communicate to the mind of another. This communication can leap across traditional barriers of language, culture, and even time. The art produced in Grenada today can speak to the generations to follow, and be just as relevant and powerful then as it is now. Visual art is a chronicler of heritage and values, and can be a barometer of the mental and spiritual health of a nation. When we are bombarded in these times by images and values from external forces, our art can help to give an identity to our own. When a people know who they are, they are not easily misled. With the joblessness that is plaguing our youth in Grenada and the wider Caribbean, visual art can provide self-employment for a lifetime. Our own Grenadians have now begun to collect Grenada’s visual art, both from home and those who live in the diaspora. When we ourselves recognize that what we offer is good and great, others will, too. Finally, the most hoped for, best possible outcome of this exposure on the world stage, is that we will create our own platform in Grenada. 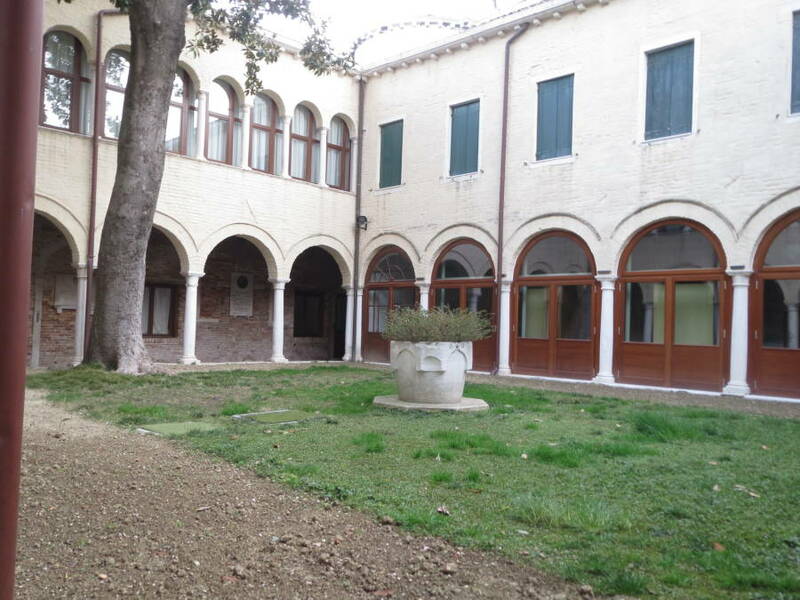 We envision a centre for visual arts, a place of action in teaching and preservation. Not a museum just for the display of historical art, but a lively place of community interaction, of learning and discourse. We see place where visitors and locals alike can find a place of inspiration. Art is not mean to decorate your house, it is meant to inspire your life. We recognize the invaluable contribution of the Ministry of Culture and Minister Hood. It was her action that enabled Grenada to receive the letter of invitation for participation. We are thankful for the local sponsors who share this vision of the possibilities of visual art: Danny Fakhre of the new Silver Sands, Peter de Savary of Mt Cinnamon, Bernardo and Wendy Bertucci of LaLuna, The National Lottery Authority, Netherlands Insurance Co. Ltd., Quinn Co, Flyingfish Marine Survey, RBTT, Centry 21, Leo and Lilian Garbutt, Diamond Chocolate Factory, Act-Art and Design, Insurance Consultants, Grenada Ltd, and Art and Soul. The Italian sponsors who have helped to make this possible are Arte Eventi, Zerotecnica, C & C and Officia delle Zattere. The Grenada Arts Council is the umbrella agency for coordinating the funding, and sponsorship is still needed and welcomed. This is not an exhibition that will have works for sale, and the artists and curators have given of their time and material voluntarily and freely. The exhibit will continue from 6 May through 22 November.